We do not even mention the wool and the thread. 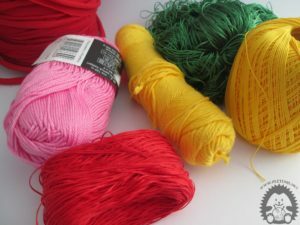 Depending on the type and purpose of the work we choose the kind of thread we want to work with. They can not be woolen, cotton, synthetic as well as a combination of them. We distinguish fibers of animal, plant and animal origin. 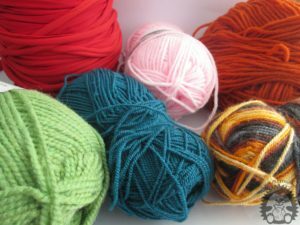 For knitting, we use a wool more often, and weaving a cotton thread. This rule does not need to be followed because, above all, the choice of material depends on the purpose of the object we are making. Merino wool - the best quality wool derived from merino sheep. 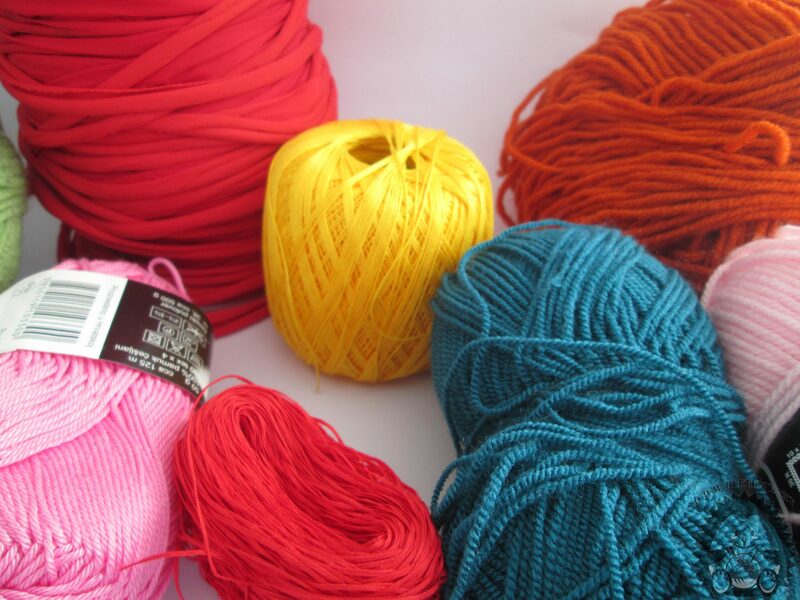 Crossbred wool - it is wool of medium quality. It promotes crossbred sheep that are crosses between merino sheep and sheep with coarse wool. Vuna Ljame - With the sweeping south american sheep grown on the plateau of the Andes, ALPAKA WOOL. There is no lanolin, so I can carry those who are otherwise allergic to the wool. Mohair - is the wool of Angora's hair. It is characterized by long hair so that treated wool of moss gives the effect of the fur. It is warm and soft, has a beautiful silky glow and is quite durable. It is often mixed with sheep's wool and synthetics. Angora wool - is the hair of Angolan rabbits. Exquisite for winter knit garments. Devina's hair - is derived from the lower layer of devil's fur, is exceptionally soft and beautiful natural colors that are rarely painted in a different color than its natural, sometimes just in darker browns. Wool in the winter warms the best of all the materials we offer and we use it for making caps, scarves, sweatshirts, gloves and similar garments subject. We differentiate between plant fibers Pamuk, lan i hemp. Plant fibers are mainly made of cellulose, from which wood, paper and wool are built. They are less hot and are not elastic. Silk is an animal fiber, because it is obtained from the spike of the silkworm. The fibers of the silk are extremely smooth because of their shine. Their properties are somewhere between animal and plant fibers. Synthetic fibers like acrylic i polyamide They are strong blur-resistant fibers that do not have the ability to absorb moisture. At the same time, synthetic materials are washed lightly and quickly dried. When crocheting the swimsuit they are the best choice. When making their artwork, they should not be limited. For making solid cores or carpet you can use the cotton cloth cut into strips and put together in the pad. For some work the rope is the best choice. My favorite is recycling plastic bags so I hook up the plastic pads made of plastic bags and make bags. In any case whatever type of thread you choose and the technique of making use enjoy it! Subscribe to our Youtube channel and see our video url.